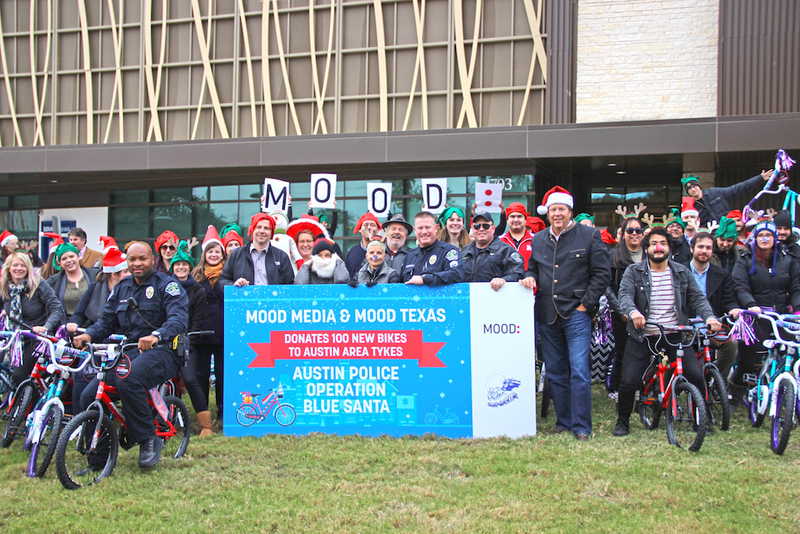 ‘Tis the season for giving, and Mood Media and Mood Texas are making the holiday season a little brighter for the children of Austin, TX. 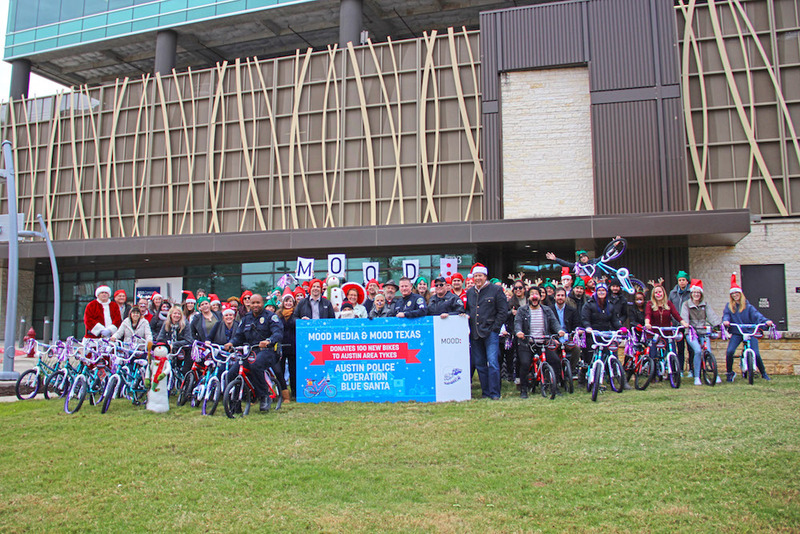 We’ve donated 100 brand new bicycles to our friends at Austin Police Operation Blue Santa to share with local kids in need during the holiday season and beyond. 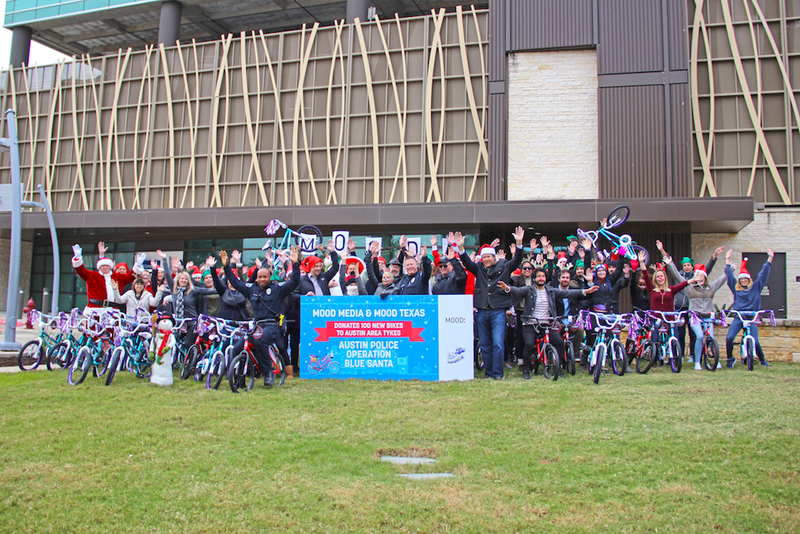 The gift of a bicycle brings fun and freedom, all while promoting an active lifestyle. Beyond the joy it offers kids of all ages, bicycles are also a practical gift that can open the door for new opportunities. 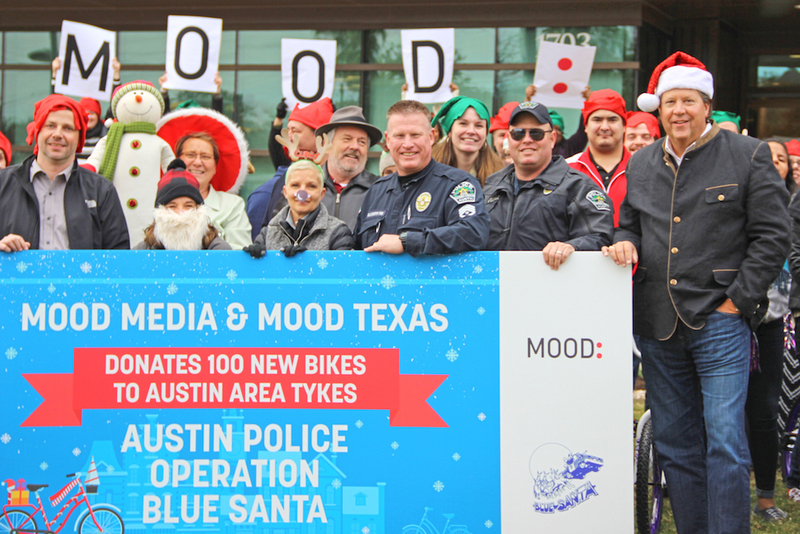 Here’s a couple photos of our festive employees as we gathered outside our downtown Austin office to gift the bicycles to representatives from Austin Police Operation Blue Santa (L-R: Sr. Patrol Officer Andre Black, Sr. Sgt. Richard Ellsworth and Sr. Patrol Officer Will Harvey).